General Kenneth F. McKenzie Jr. Commander US CENTCOM, called on General Zubair Mahmood Hayat, Chairman Joint Chiefs of Staff Committee at Joint Staff Headquarters, Rawalpindi. General Kenneth F. McKenzie Jr. 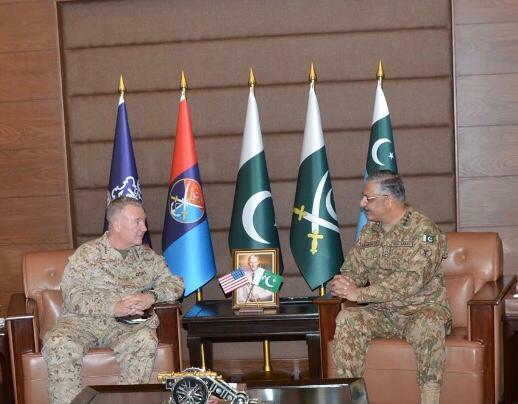 Commander US CENTCOM, called on General Zubair Mahmood Hayat, Chairman Joint Chiefs of Staff Committee at Joint Staff Headquarters, Rawalpindi. Matters of bilateral interest with emphasis on geo-strategic environment were discussed.